ï»¿ Shop the Official Toobee Store. T-Shirts, hats and more. Home of Toobee® Amazing Flying Can! WOW! Membership into the Toobee Air Force. Perfect for anyone who likes to smile, Toobee® Amazing Flying Can is safe fun for all ages. It is the perfect gift for the person who has everything and can be played safely indoors or out. 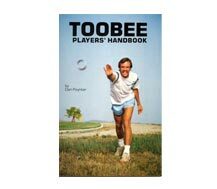 If you like Frisbee® then Toobee® is for you. The TAF motto: Success comes with Cans. See Toobee® in Action -- Amazing!